From time to time, our library is fortunate enough to have an author come speak. I always find it fascinating and am very grateful to meet these people who entertain and inform us. This Saturday (January 5) at 10am we have not just one author but five: Jessie Chandler, Pat Dennis, Timya Owen, M.A. 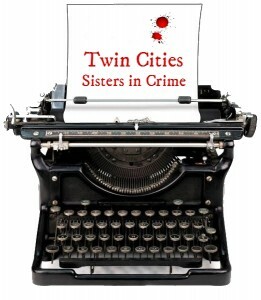 Mallory and Greg Dahlager from the Twin Cities chapter of Sisters in Crime will be here to provide a window into how historical events have inspired their writing, the challenges of researching our past, and how authors walk a fine line between mystery and history when writing. Learn about some of the ups and downs and the joys and trials of plying the mystery game. Find out about new books by Minnesota mystery authors. It’s going to be awesome! I sometimes think that I must have done something to anger Janet, who is the person responsible for choosing pretty much all of the adult books in our library. Why else would she taunt me by buying so many fabulous nonfiction books in exactly the subjects that fascinate me, when she knows I can’t possibly get around to reading even a fraction of them? Ah well – my loss is your gain. Take, for example, The Tangled Tree by David Quammen, of which Booklist wrote “*Starred Review* The tree of life had served scientists well as a visual expression of the evolutionary process until three big surprises complicated the picture: a whole new category of life, the archaea; horizontal gene transfer; and startling revelations regarding our own deepest ancestry. Best-selling science journalist Quammen precisely and vividly explains how these findings have tangled the tree. He begins at the roots with Darwin, Ernst Haeckel, and other early evolutionists, then moves through the twentieth century, telling a dramatic, many-limbed tale of courageous theorists and assiduous experimentalists, all portrayed with zest in short, punchy chapters. The key, long-controversial figure is Carl Woese, who unveiled the microbial archaea and figured out how to use ribosomal RNA to trace this life-branch’s evolution. Recounting how excruciatingly laborious lab work was before computers, Quammen chronicles the development of molecular phylogenetics, the study of evolutionary relatedness using molecules as evidence, which brings the fascinating Lynn Margulis into the story, along with the wildly counterintuitive phenomenon in which living bacteria trade genes sideways in what is sometimes called infective heredity. We, it turns out, are intricate mosaics full of genes from nonhuman, nonprimate sources. With humor, clarity, and exciting accounts of breakthroughs and feuds, Quammen traces the painstaking revelation of life’s truly spectacular complexity.” I think I will have to make time for this one!